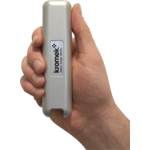 A CZT-based gamma and x-ray detector perfect for immediate use (using Kromek KSpect or MSpect gamma spectroscopy software) or as the radiation detector component in your own radiation detector. Being CZT-based the SPEAR (Single Point Extended Area Radiation) can operate at room temperature while still offering high sensitivity. 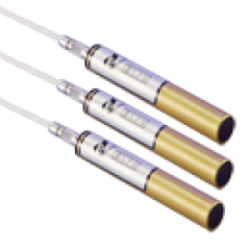 The SPEAR detector is a complete probe, comprising a 5x5x5mm3 CZT detector crystal and low noise hybrid preamplifier in a housing measuring only 13mm diameter x 84mm in length. 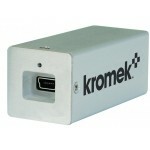 The probe is supplied complete with a 2 metre long connecting input/output cable, allowing the unit to be used immediately. 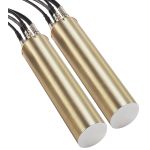 Perfect for immediate use or as a gamma and x-ray detector component in your own design of radiation detector. with any standard spectroscopy or counting system. Ready to use out of the box, SPEAR is also an OEM component that can be built into your own detector devices, the Kromek Team can help design and build exactly what you need. Co-planar grid gamma-ray detectors for nuclear spectroscopy. A family of CZT-based gamma-ray detectors spectrometers. Small and light and sensitive.